WATCH ABOVE: Giraffes have been put on an extinction watch list after their population nearly declined by 40 per cent since the 1980s. Giraffe numbers have declined by as much as 40 percent since the 1980s in a “silent extinction” driven by illegal hunting and an expansion of farmland in Africa, the Red List of endangered species reported on Thursday. Populations of the world’s tallest land creature fell to about 98,000 from an estimated 152,000-163,000 in 1985, according to the List compiled by the International Union for Conservation of Nature (IUCN). The Red List rated the giraffe “vulnerable” to extinction on current trends for the first time, against a previous rating of “least concern.” It said the plunge in numbers in large parts of sub-Saharan Africa had gone largely unnoticed. “Whilst giraffes are commonly seen on safari, in the media and in zoos, people – including conservationists – are unaware that these majestic animals are undergoing a silent extinction,” Julian Fennessy, an IUCN giraffe specialist, said in a statement. 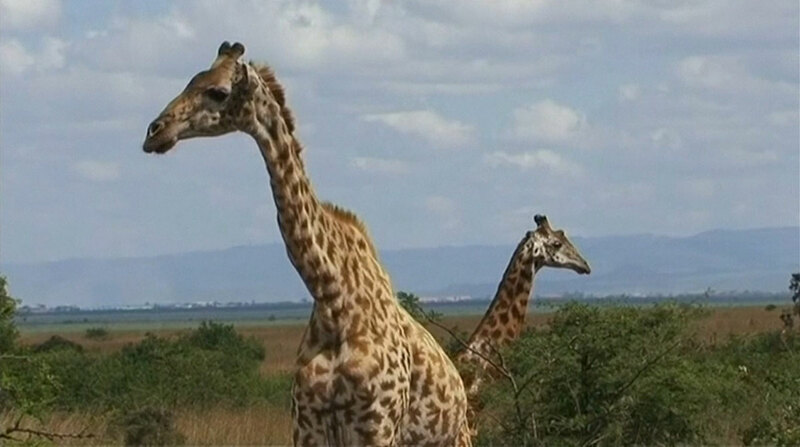 Giraffes are at risk from the expansion of farmland to feed a rising human population and from killings for their meat, often in areas of conflict such as South Sudan, according to the IUCN, which groups scientists, governments and activists. “People are competing for fewer and fewer resources and the animals are worse off … especially with civil strife,” Craig Hilton-Taylor, head of the Red List, told Reuters. Drought and climate change are aggravating factors, he said. Among other changes on the list, the African grey parrot – famed for its skill in mimicking human speech – was rated endangered, one step worse than its earlier category as vulnerable. Trapping for the pet trade has driven down numbers. The list also found that 11 percent of more than 700 other species of bird newly assessed were at risk of extinction, such as the Antioquia wren in Colombia, which is under threat from a hydro-electric dam. A few were recovering against the trend – conservation efforts had reduced threats for birds including the Azores bullfinch, St. Helena plover and Seychelles white-eye. The Red List, the main global authority on risks to animals and plants, said 24,307 of 85,604 species assessed in recent decades were in danger of extinction. U.N. studies say that man-made threats, led by the loss of natural habitats, may herald the worst extinction crisis since the dinosaurs were wiped out 65 million years ago.